Switch to Kleenheat for 20% off your first cylinder order* PLUS no service charge for 12 months. If you find a better offer, we’ll beat it by 10%! 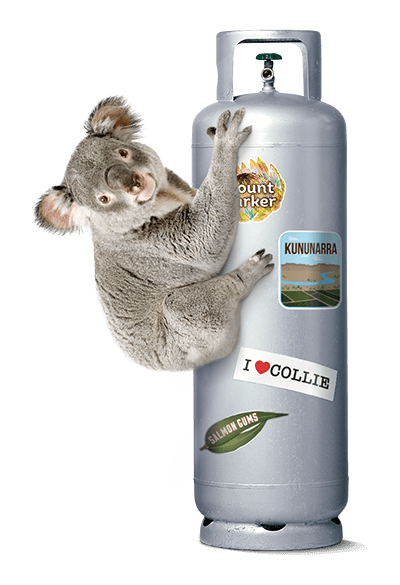 Kleenheat is your local leader in LPG proudly supplying thousands of households across Western Australia and Northern Territory with safe and reliable LPG for cooking, heating and hot water. We believe in keeping things local and that’s why our team in Broome are on the ground to help you with all your gas needs. To redeem this offer call 13 21 80 or visit us in store at 2 Alto Close, Broome. *This Offer is available only to residents of the Broome area. This Offer is available only to new residential Kleenheat customers that purchase through selected branches and commission agents in Western Australia for the supply of household LPG at a single residential address. This offer is available for acceptance until 31 December 2019. This offer may be extended, cancelled or changed at any time at the discretion of Kleenheat. This Offer includes the deferral of the usual service charge that applies to 45kg LPG vapour cylinders for the first 12 months. The standard Kleenheat service charge will apply after the end of the initial 12 month period. We will beat any lower comparable LPG price for residential and commercial supply by 10%. This price guarantee is only available to person(s) who are existing customers and/or enter into a new agreement with Kleenheat for the household supply of LPG in Broome, Western Australia. The competitor’s LPG product price offer, as advertised in a daily newspaper, catalogue, commercial radio or television advert, must be less than the Kleenheat quoted price for the identical LPG product, not including any additional fees or charges associated with supply, sign up incentives, loyalty benefits or dual product discounts. The competitor’s offer must be a genuine offer available to the general public and applicable to your supply address. To make a Price Guarantee claim, call Kleenheat on 13 21 80. The Kleenheat representative may request from you evidence of the competitor’s offer to verify that it is a comparable offer. You can provide evidence of the advertised offer either by mail, fax or email to Kleenheat. Kleenheat requires a minimum of one week to process and verify received claims. We will contact you once the claim has been processed. Duration of Price Guarantee: This Price Guarantee expires on 31 December 2019. Kleenheat will process any valid Price Guarantee claims submitted prior to that date but will not accept any claims made after the expiry date. No waiver: The failure to enforce a provision of these Terms and Conditions will not constitute a waiver of that provision.